The purpose of the app is to enter codes that come attached to Coors Light 12 packs. Those points can be redeemed for gear and experiences, like a cooler or an LA Angels game. 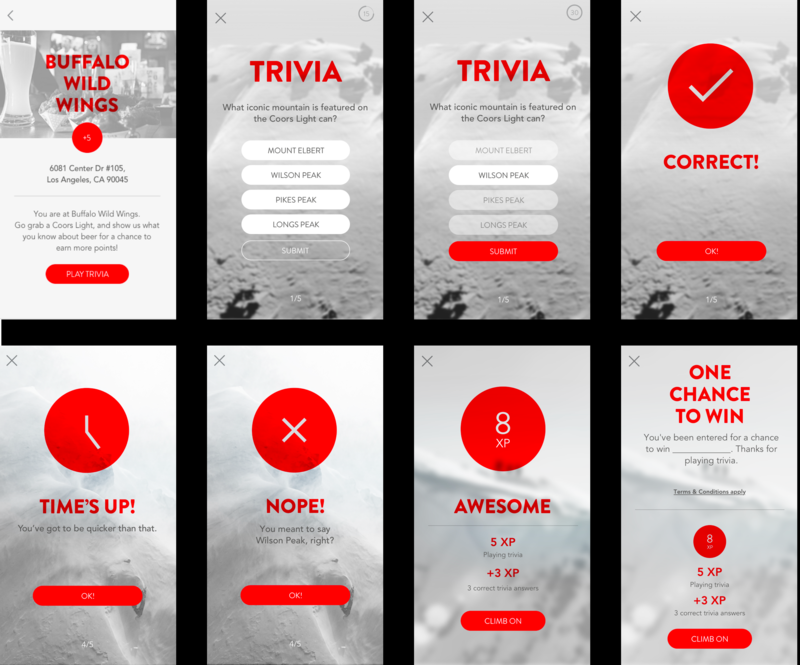 Another way to accumulate points is to play trivia at their local bars. All they have to do is check-in through the app and play a few rounds to gain points. When I started working with the design team on this, the native mobile app was already in a really good place. All we needed to do, was to improve UX, increase the gamefication aspect of the app and create an abbreviated desktop experience. 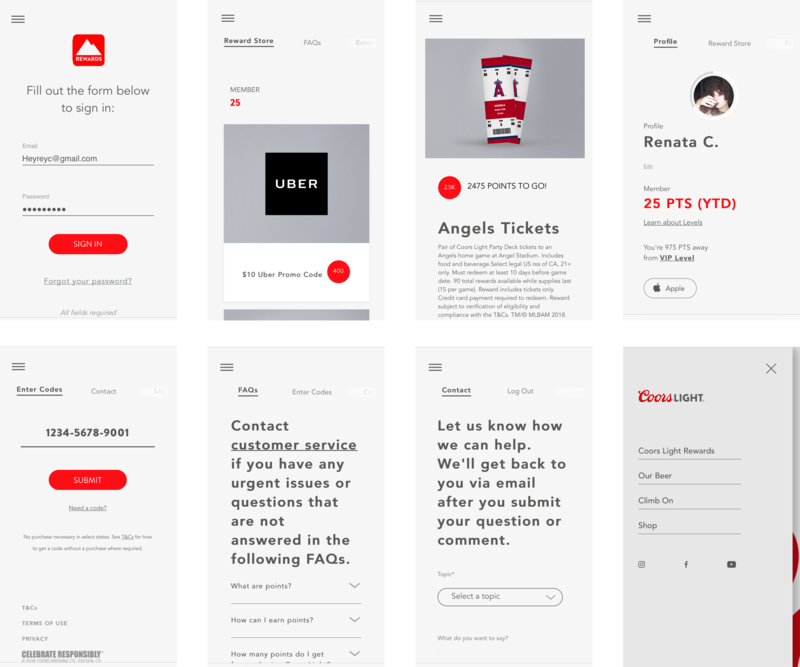 Together we user tested a few options to make the experience clear, more engaging and limber. My name is Renata Cambaúva — a Design Director & ACD skewed digital. I’m a brazilian creative with a beating heart for good ideas, beautiful design, and great cups of coffee.